The new Chromecast app allows you to list Chromecast enabled apps installed on your device, to manage Chromecast and Chromecast Audio, and to recommend Chromecast-compatible apps and games. This guide shows you how to use this updated Chromecast app. With the announcement of the new Chromecast (Chromecast 2015) and Chromecast Audio, Google also dramatically updated the Chromecast app for Android and for iOS. The new Chromecast app not only adds support of the new Chromecast and Chromecast Audio, but also introduces new features to help you find apps and contents that can be used with Chromecast devices. The new Chromecast app works with all Chromecast devices: the new Chromecast(Chromecast 2015) Chromecast Audio, the old Chromecast (1st generation of Chromecast). This guide shows you the new features in the new Chromecast app and how to use them. This guide is based on Chromecast for Android. It works similarly in iOS devices. How do I know whether I have the new Chromecast app? The new Chromecast app for Android refers to Chromecast app version 1.12.32, which was officially released on September 29, 2015. 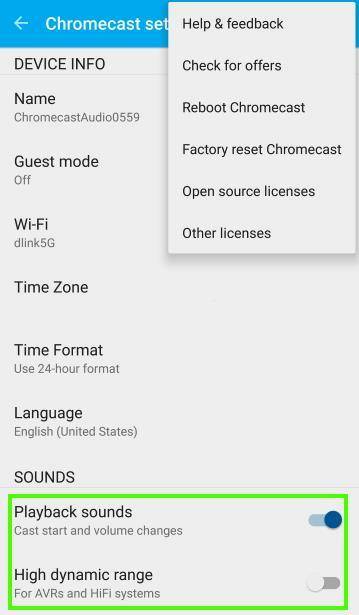 You can easily know whether you have the new Chromecast app with one of the following methods. Method 1: Check Chromecast app icon. The icon for the new Chromecast app is blue Google cast (as shown below in the left). The old icon is a Chrome logo on a TV as shown in the right below.. Method 2: Check the versions directly in the Chromecast app. In Chromecast app, tap the navigation menu in top left, then tap Help & Feedback. Then you can find the version as shown below. Anyway, you can always update Chromecast app in the Play store app, if you are using the old versions of Chromecast app. What is “What’s on” in the new Chromecast app? What’s on is the most useful feature in the new Chromecast app. There are basically 3 main functions in What’s on tab as shown below. Search movies and shows available for your apps. You can also use voice search by tapping the microphone icon. This is common part for all three tabs. This search bar may be not available in some regions. Browse Chromecast-enabled apps installed on the phone. So the apps shown here vary because it only scans the installed apps on your device. This is very convenient for many Chromecast owners because we usually forget the apps installed. 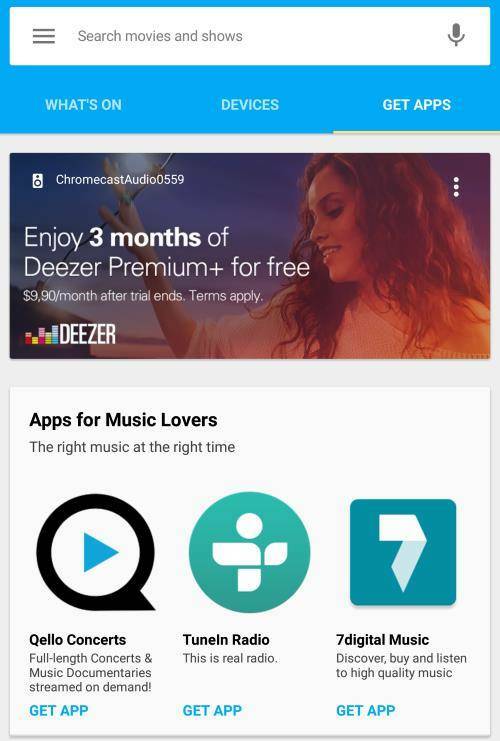 Some apps may seldom advertise this feature, for example, a lot of ES File Explorer users are not aware of the Chromecast support of this popular file manager app. Browse Chromecast Audio enabled music apps. This part list apps that can cast to Chromecast audio. Please note, most music apps supports both Chromecast and Chromecast Audio. But some video apps, for example, YouTube, and Play movies, only support Chromecast, not Chromecast Audio. 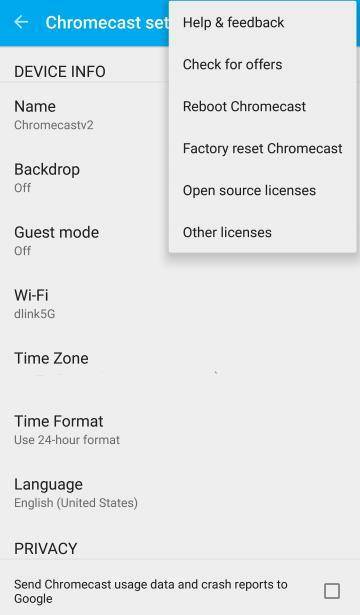 Manage multiple Chromecast devices with the new Chromecast app? Now, you can easily manage all Chromecast devices easily in the devices tab of the new Chromecast app. All Chromecast devices in your network as listed under devices as shown below. If a Chromecast device is off, it will not be listed. As shown in the screenshot below, for example, 2 of my Chromecast devices are active, one is Chromecast audio. TuneIn App is casting to this device. 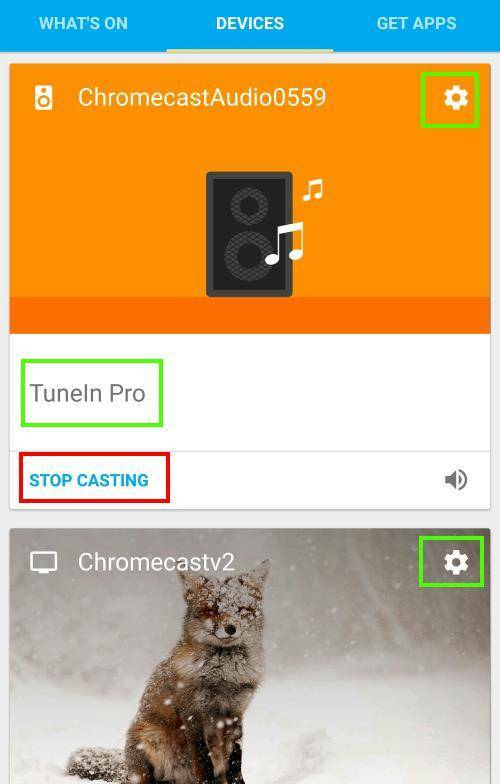 When a Chromecast is being used, you can stop the casting by tap the Stop casting as shown below. This is useful because it is not necessary to run the app on your mobile devices once casting starts. You can use your device for other activities. For each Chromecast device, there is a settings icon (gear) as shown below. tap it to edit the specific Chromecast device. The settings options for Chromecast and Chromecast Audio are slightly different as shown below. Playback sounds. You control the volume in the speaker, instead of on the phone. High dynamic range. This is for HiFi systems or AVRs. For normal stereo speakers, it is not necessary to turn it on. If you have any questions on Chromecast Audio, please check this page (coming soon!). For Chromecast, you have the backdrop settings that are not available on Chromecast Audio because Chromecast Audio has no video output. The third tab in new Chromecast app is for you get Chromecast-enabled apps in the Play store as shown below. In Google Play store app, there used to be a special section for Chromecast compatible apps. 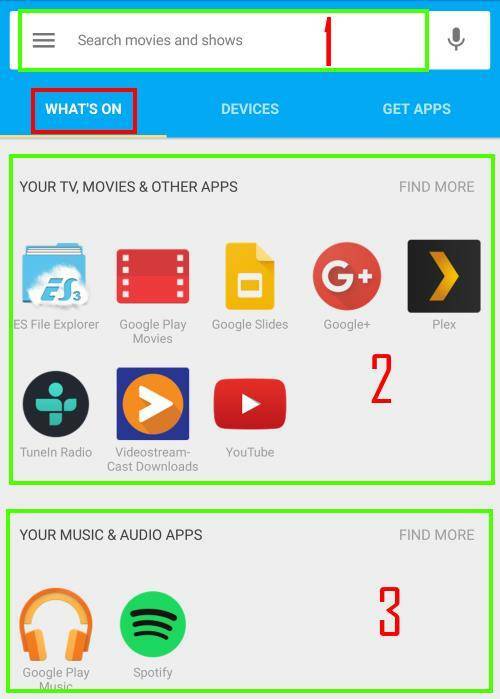 Now, Google wants to you to check these apps inside Chromecast app. This makes sense. The apps listed are simply linked to Play store. 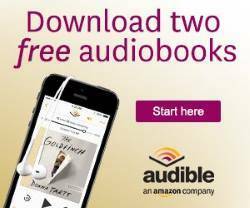 They are compatible with your device as well. Now, you can easily find new and cool apps for your Chromecast and Chromecast Audio. Can you use the the new Chromecast app now? If you have any questions on the new Chromecast app, please let us know in the comment box below. laptop, it tries toc onnect to Roku 3 6-77. How do I connect to my files? There is no search box in the latest version of Chromecast app.. The search box is available in selected regions only, mainly US due to content availability issues. In most other regions, the search bar is hidden automatically. If you connected to a US IP, it will be shown. how can I encrypt my Chromecast Wi-Fi network? It’s a bit confusing. Your Chromecast connects to your wireless router. What do you want to achieve?